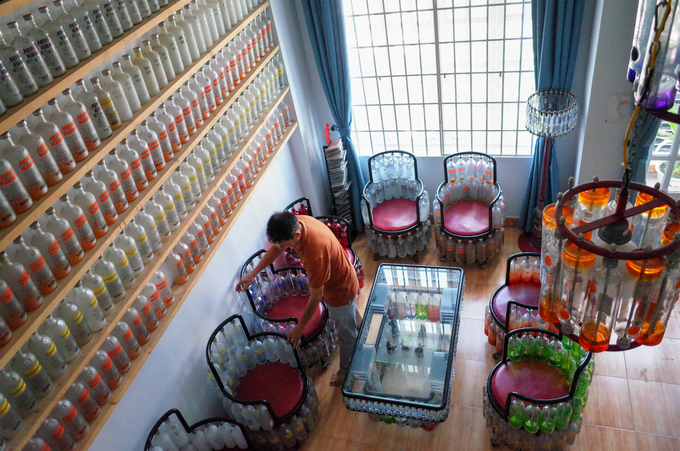 A man collected glass bottles for 15 plus years without knowing what he would do with them. 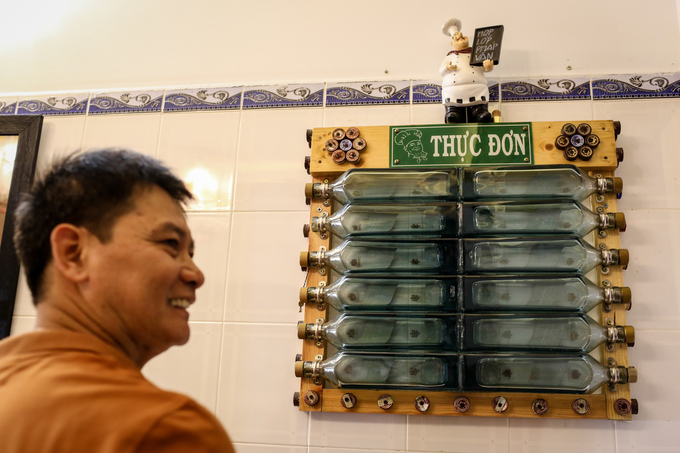 Dinh Nguyen Binh, 50, collected bottles and their caps for more than 15 years as a hobby. 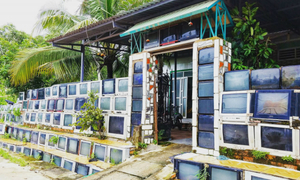 Little did he imagine that his unusual passion would find the most artistic expression in his own house in Saigon’s Tan Phu District. “Ever since I was a kid, I had the hobby of collecting old liquor bottles. I’ve never intended to turn these glasses into home decorations. But the passion soon blossomed after I began making ashtrays and drinking glasses with old bottles that my friends throw away, ” Binh said. 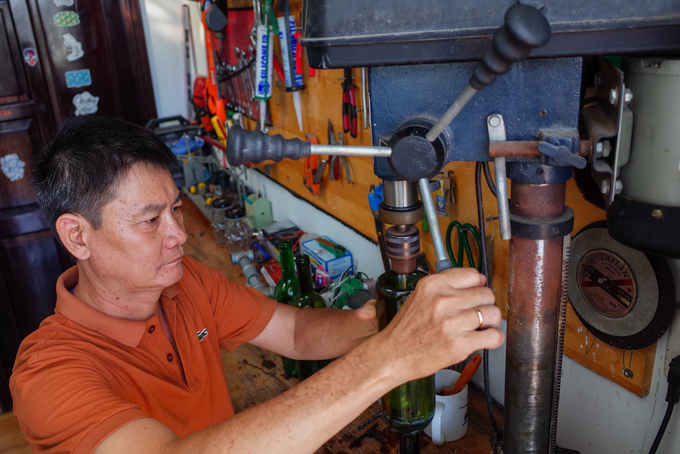 Because he runs a business in mechanical goods, Binh has the machinery at hand to repurpose the bottles. “It can take up to one year to complete a decoration. Coming up with ideas is the hardest part, then collecting bottles that have similar shapes and turning them into the final product, ” he said. 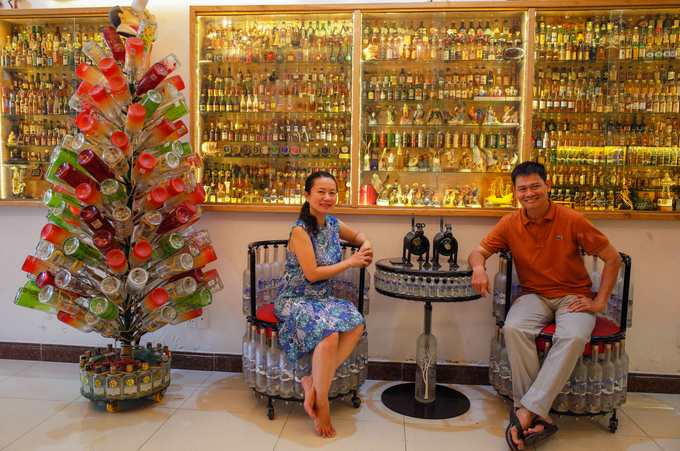 There are about 10, 000 glass bottles of different sizes and shapes in his house. 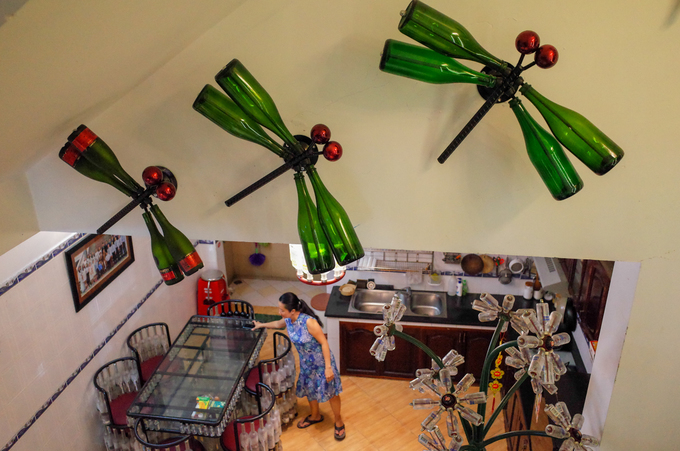 Old bottles have become dragonflies, dining table decorations, chairs and flowering plants. A glass bottle menu of the day in the kitchen. Living room furniture and decorations, including a chandelier, have been fashioned out of thousands of bottles. 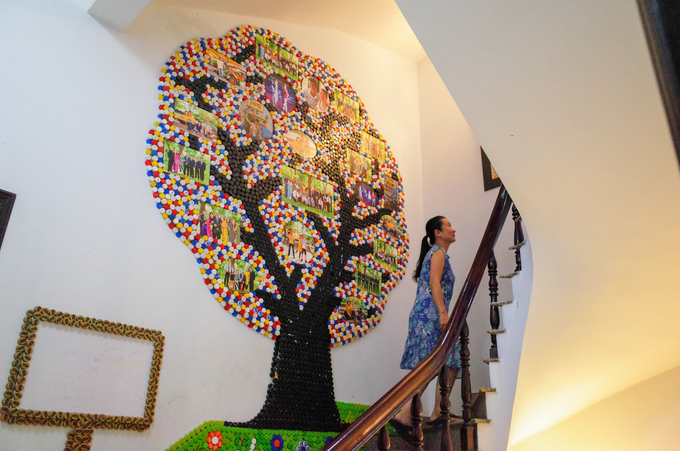 Bottle caps, meanwhile, has become striking murals in which family photos are placed. 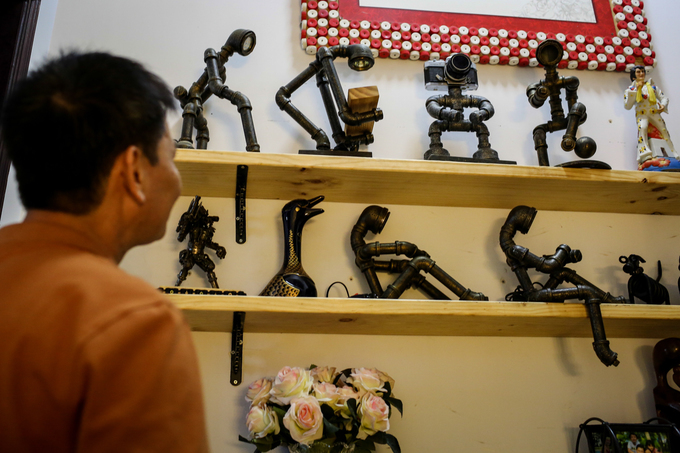 Binh also models old iron pipes into human-like figures. "I am not selling my art. 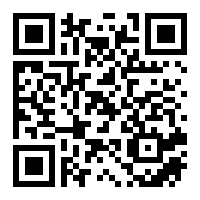 I only lend it for people to displays at events, " he added.